A Snowy Wedding Fayre at the Mollington Banastre! 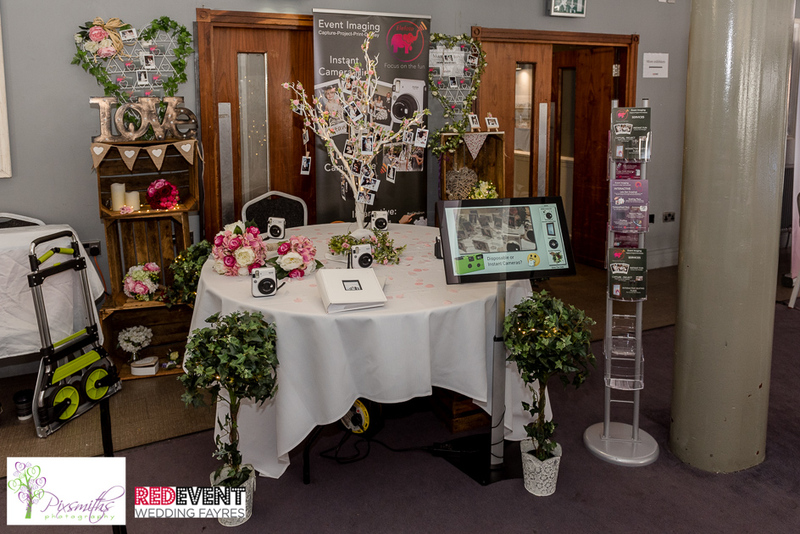 Check out the amazing exhibitors we had on display at our last Chester Wedding Fayre! 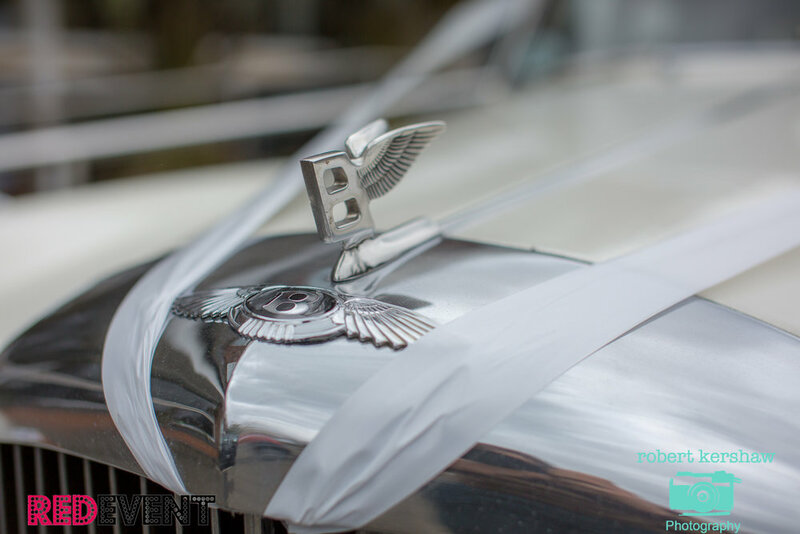 AMB - Vision offer something a little different to for your wedding day. Capturing your wedding from a birds eye view using the latest drone technology. 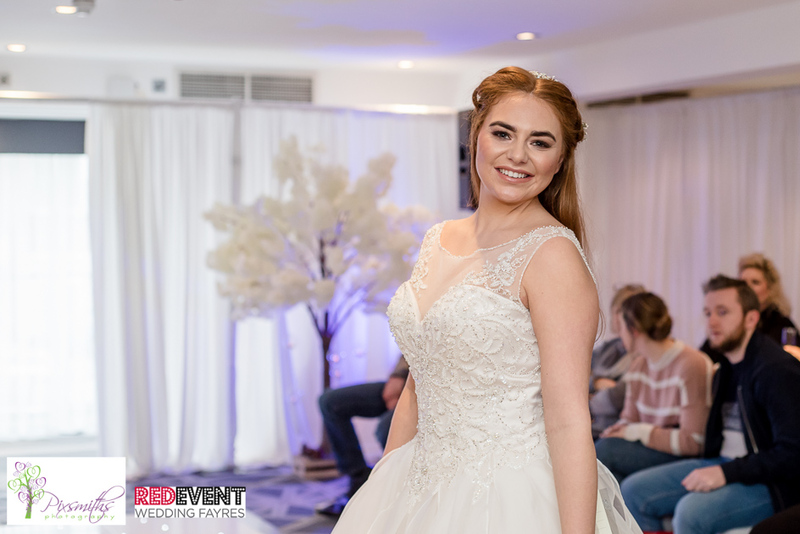 As always we had two catwalk shows at 1:30pm & 3pm showcasing the very latest trends and fashion in the wedding industry. 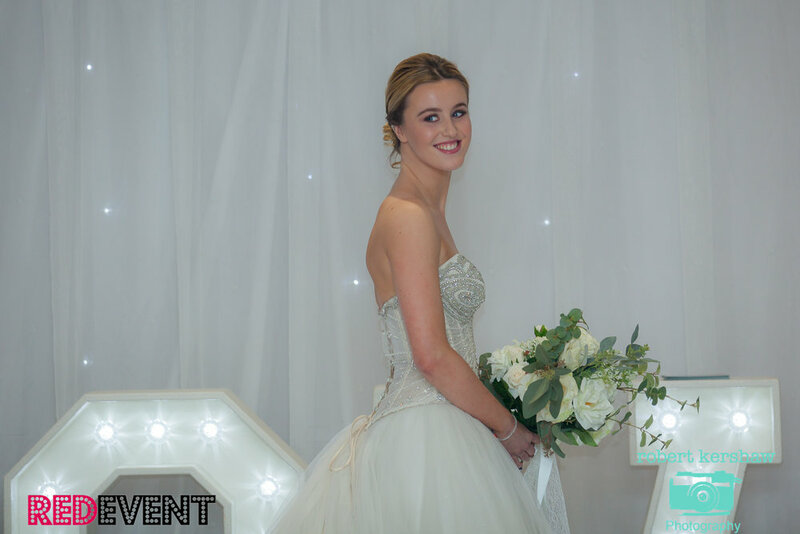 Showcased was Bridal & Bridesmaids by The Wedding Collection Wirral design, Hair by Leanne Victoria Hair Designs, Make up by Laura-Louise, Suits by Groom Chester, Bouquets by Faux Show Flowers, Catwalk dance floors and love letters provided by AA Decorative Events. 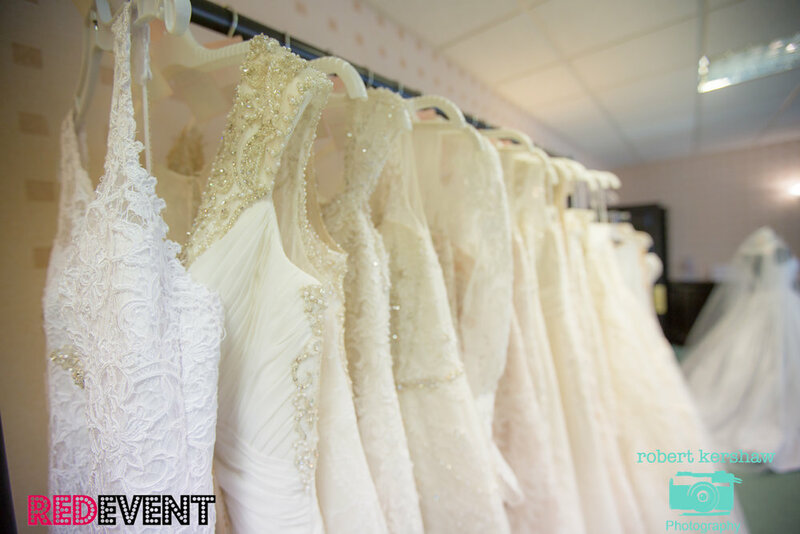 We had a huge bridal dress sale in the Badminton Suite by Cheshire Brides of Frodsham were brides could come and browse bridal gowns and try them on to find 'The One'. Designers included ronal Joyce, Justine Alexandre, Mon Cheri and Ellis Bridal. 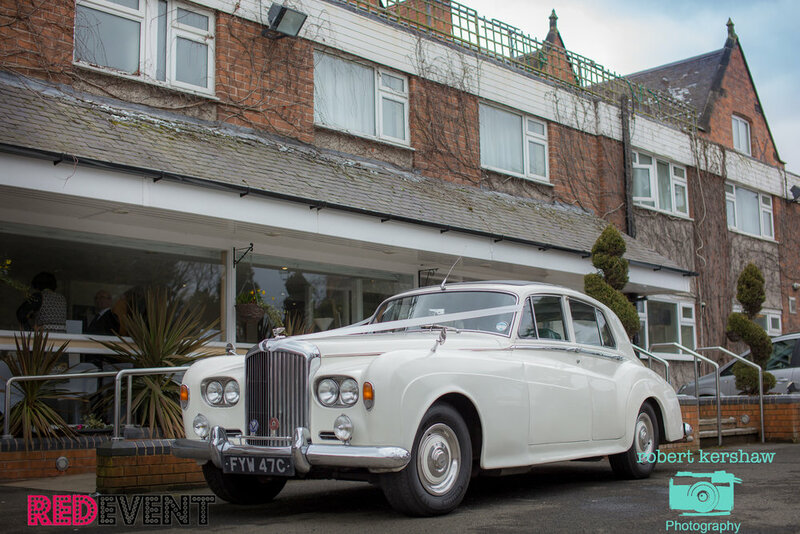 Chester Wedding Cars exhibited and showcased their 1963 Rolls Royce Silver Cloud 111 outside of the Mollington Banastre. 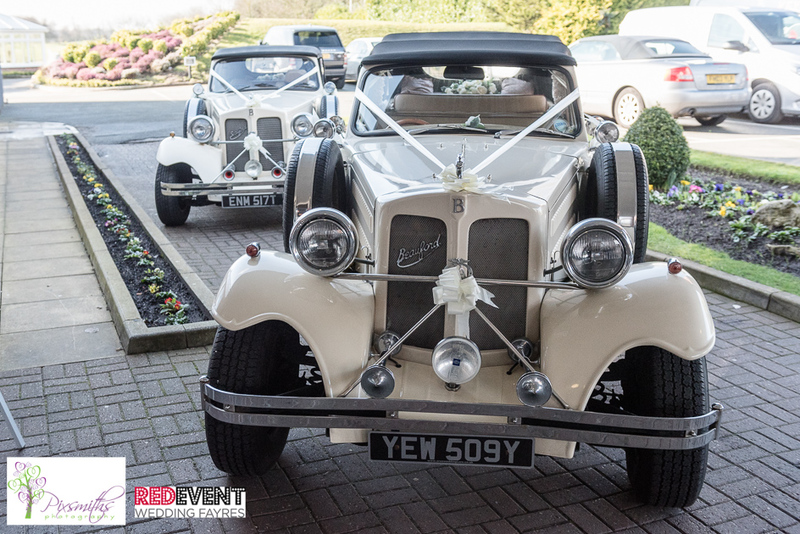 With over 20 wedding cars to choice from their current line up includes several classic and vintage Rolls Royce motorcars, several Daimler limousines, Austin Princess VDP Limousine, Sunbeam and several LWB Jaguars! Our Photographer Rob couldn't resist a photoshoot in the wonderful snowy gardens of the Mollington Banastre. 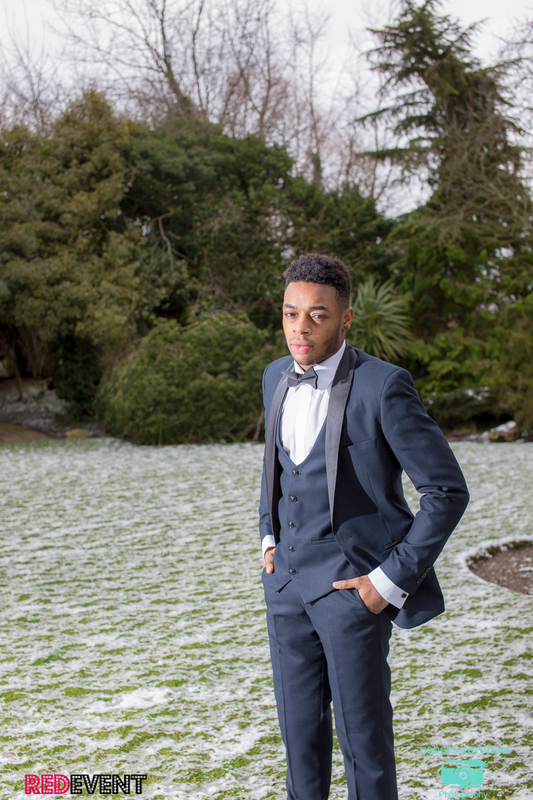 Our models braced the cold to get a few winter wonderland snaps! Eden wears menswear from Attire, Elli wears The Wedding Collection. Groom Formal is a family run business with over 20 years experience. They supply affordable suit hire with packages to suit all budgets and requirements. 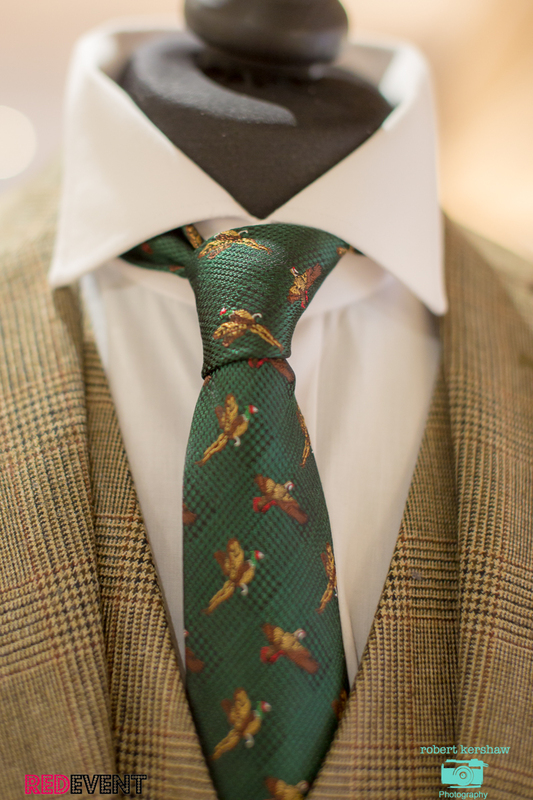 Groom are always one step ahead of the rest when it comes to the latest trends from traditional tails to bespoke. 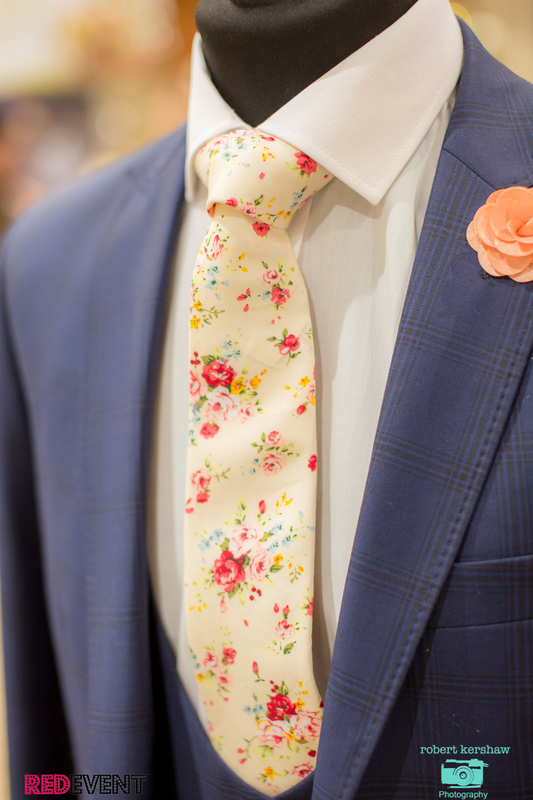 We loved the jazzy tie's they had on show at our last wedding fayre, which one is your favourite? 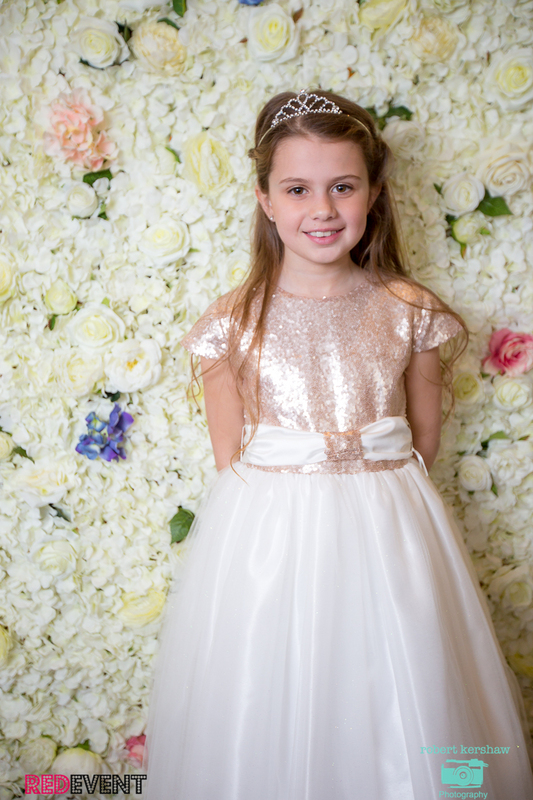 Faux Show Flowers exhibited bridal and bridesmaid bouquets (as seen on our catwalk shows), buttonholes, arrangements and centrepieces using high quality faux, silk and fresh florals. Based in Cheshire they offer a bespoke wedding and event floral service. 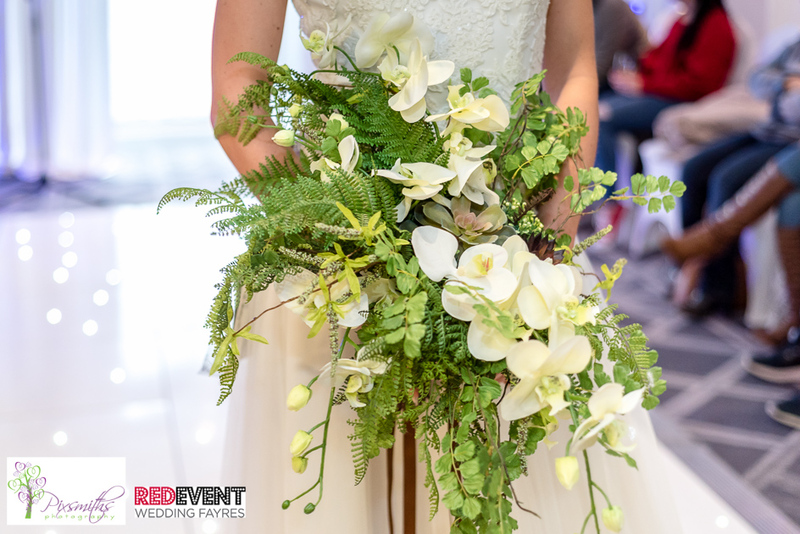 If you are looking for a keepsake for your wedding or getting married abroad and need to keep your bouquet in tact, then Faux Show Flowers is your answer! The wedding portfolios by Keyhole Studios who exhibited alongside Robert Kershaw Wedding Photography and Ian Williams Photography. Leanne Victoria Hair Design and Laura-Louise Makeup Artist did a fantastic job of making over our beautiful models for our catwalk shows. Laura-Louise offers natural, elegant & long lasting Wedding Makeup which emphasises your natural beauty, leaving you feeling beautiful, strong and confident on your wedding day. Leanne Victoria has over 17 years in the industry she knows that your hair is your best accessory and needs to compliment your dress, face shape, wedding theme, other accessories, and so on. 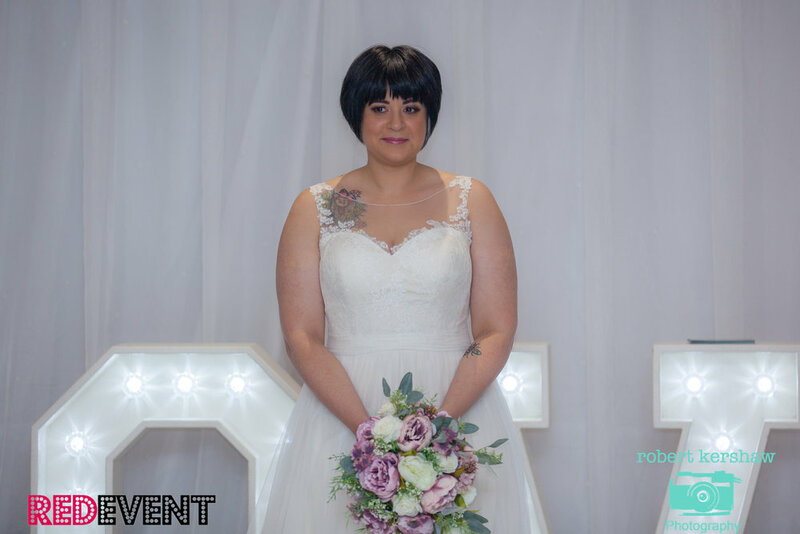 Leanne will listen to your wants and needs and consider the whole look of your wedding outfit and personalise a hairstyle to suit you and, most importantly, for it to be what you want! A big thank you to our talented make over team! 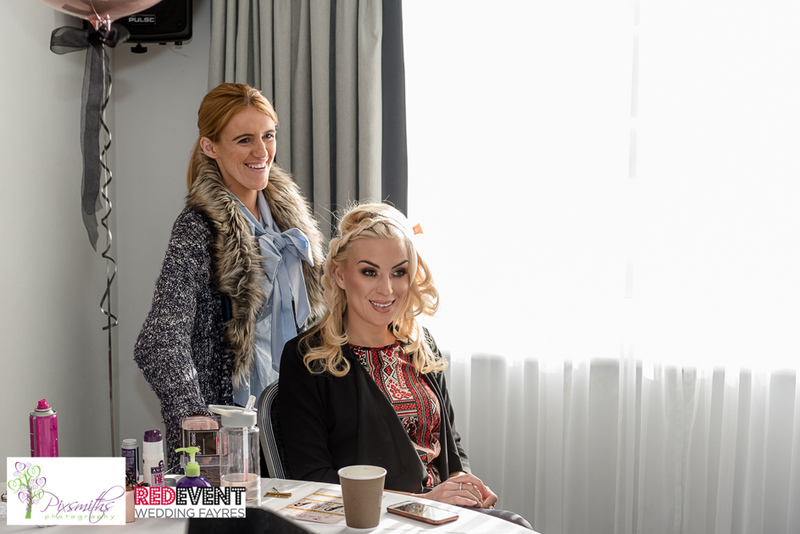 Laura- Louise Makeup Artist and Leanne Victoria Hair Designs a great team to ensure that you and your bridal party are looked after and made to feel as special as you are on your wedding day! Mel's Amazing Cakes displayed some of their amazing work at our last wedding fayre! Mel is constantly making new Wedding Cake. and we loves the different styles she exhibited. Brides and Grooms can either choose a cake from Mel's wedding cake gallery, to customise to suit your colours & decorations. Or, Mel can design and create a unique bespoke design especially for you. Expertly crafted cakes with delicious flavours mean that when you order a cake from Mel you can be confident that it will look stunning and taste great too. Munros is a traditional menswear store offering quality suits, shoes, casual wear, formal wear and accessories to suit any style and budget. They also offer a made-to-measure suit service and wedding suit hire. They also have a fantastic special offer order five or more suits and get one FREE! Rojers Jewellery is among the finest jewellers on the Wirral, presenting a range of high quality, handcrafted bespoke jewellery made by their experienced Goldsmiths and Diamond Setters with over 45 years experience between them. 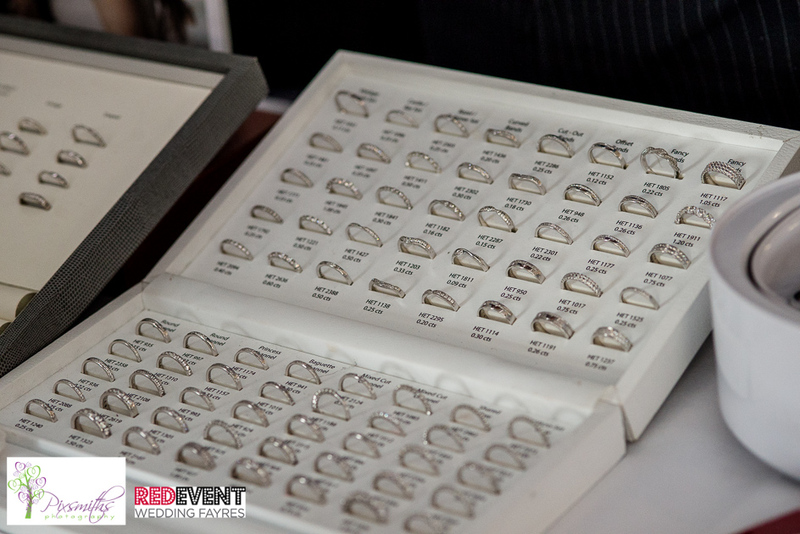 They exhibited their wedding and engagement rings and had lots of jewellery on offer to compliment your wedding dress, as a gift to your bridesmaids or cuff links! Just some of the amazing bespoke stationery, invitations and table plans from RoseVert Designs had on offer at our Chester wedding fayre. With a pride and a passion for every design, RoseVert is committed to providing beautiful, bespoke invitations and stationery that reflects the importance you hold for your day and the memories you will take from it. From gatefold to pocket, jacket to chequebook. RoseVert will work with you, your vision, your colours, and your budget. To ensure your stationery is as individual as you, at a price affordable to you. Sapphire Occasions provide top of the range, five tier (44″) or a three tier (34″) tantalising chocolate fountain with a smooth sily flavour for your wedding day. The chocolate fountain hire includes luxury Belgian Chocolate, 8 mouthwatering dips of your choice and an operator to serve your guests and keep the fountain looking great. Not sure what to give your guests as a thank your wedding favours?? Well look no further than Shlizzy, they offer homemade Vodkas infused with fruit grown on their farm. Weather you are looking to stock up your bar on your wedding day, looking for gifts or favours then Shlizzy offer a unique and yummy alcholic treat! 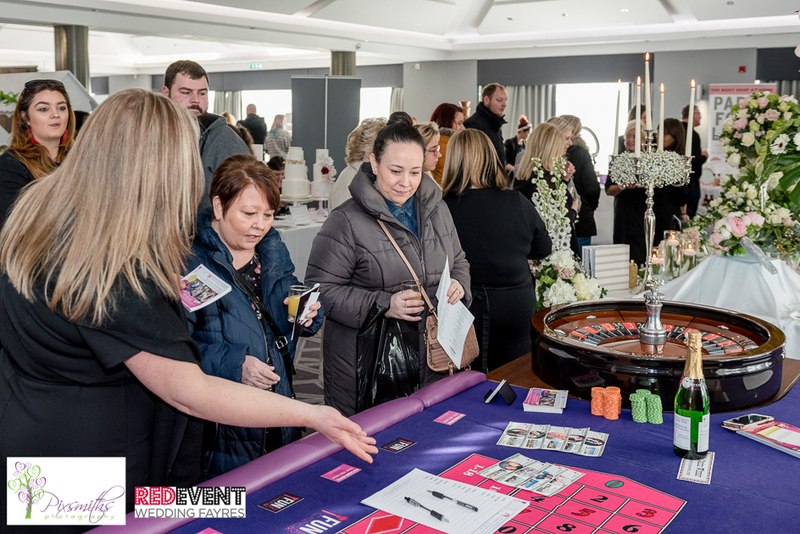 Squib and Squidge Event Nannies exhibited at our Chester Wedding Fayre and they are the perfect solution to keep you and your guests children's entertained on your wedding day! They have lots of ideas and inspiration to keep your little ones occupied, their aim is to provide professional, quality and flexible childcare. Your child’s care, safety and happiness is at the heart of every decision they make! 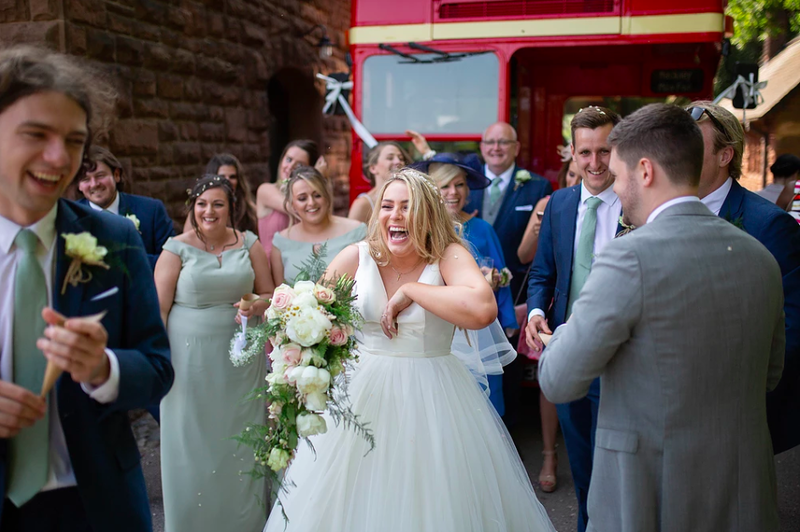 For more wedding ideas and wedding inspiration like these then SAVE THE DATE of our next Chester wedding fayre at The Brook Mollington Banastre which will be held on Sunday 14th October, 12 - 4pm. If you can't wait until October then we also have two fabulous wedding Fayres coming up in September. Visit here for a full list of our Autumn 2018 Wedding Shows! With special thanks to everyone who came along to our wedding show even though the snow was falling! 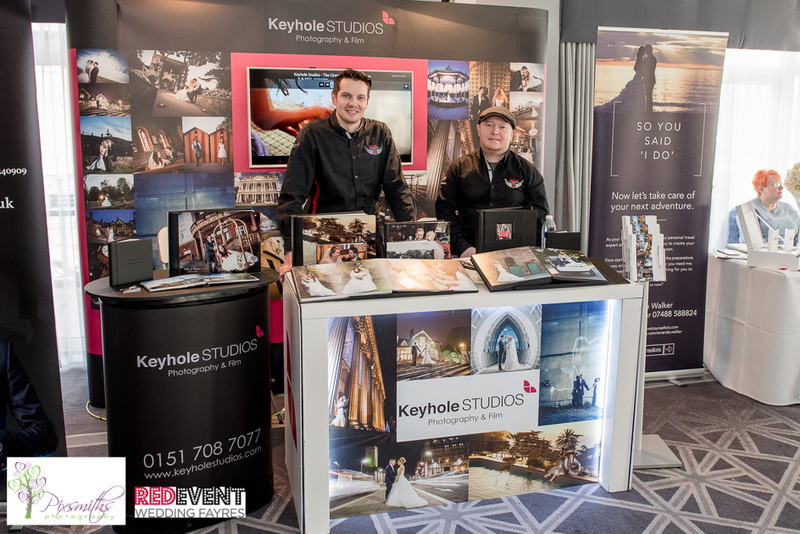 Thank you to Robert Kershaw Photography for capturing our wedding fayre perfectly! 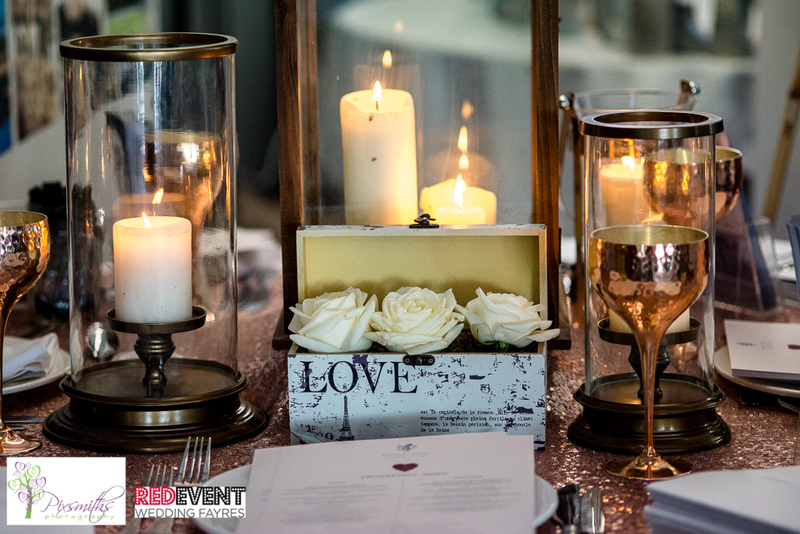 With lots more of the latest wedding trends, wedding ideas and inspiration for you to browse and enjoy you won't want to miss our next afternoon of wedding shopping and planning!! For further information and to pre register (and be in with a chance to win a Spa Day at the Mollington's Spa for you and your finance, plus many more prizes) visit our event page here. We look forward to welcoming you! Getting married? Looking for that perfect wedding gown, Cheshire Brides supply to brides all over the World. They also have their own bespoke label for that truly "One of a Kind" Gown. 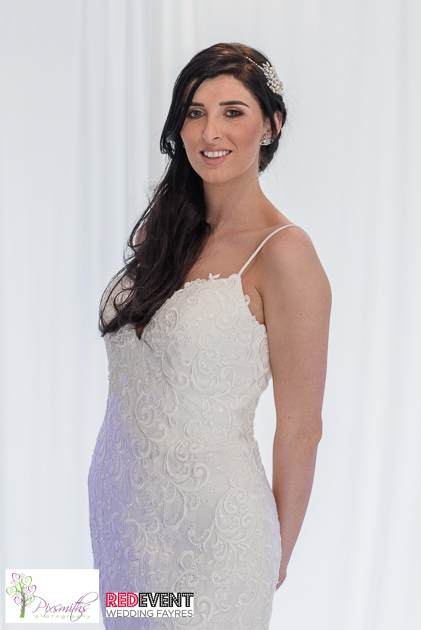 The amazing Cheshire Bride will be exhibiting their stunning range of bridal dresses at our Chester Wedding Fayre on Sunday 18th March, 12 - 4pm. 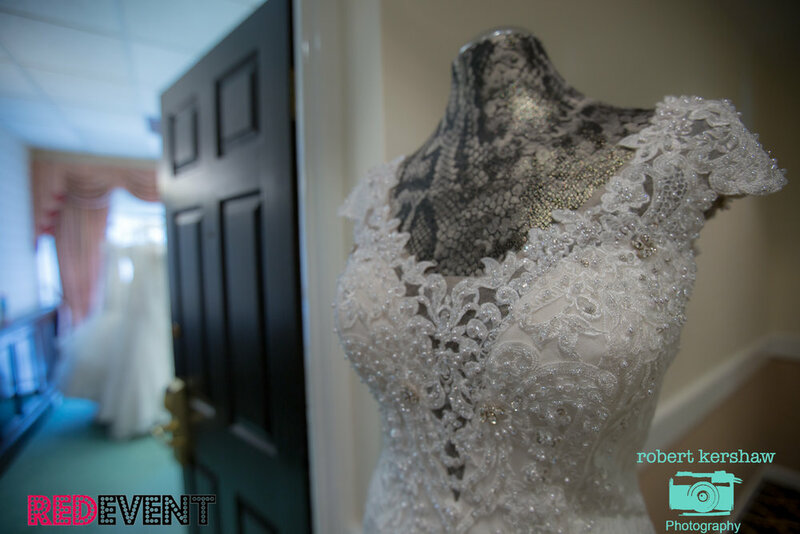 Visit the Badminton Suite to browse through their collection of dresses, with changing rooms for you to try on any dresses you will love it and it will make shopping for 'the one' even more enjoyable! 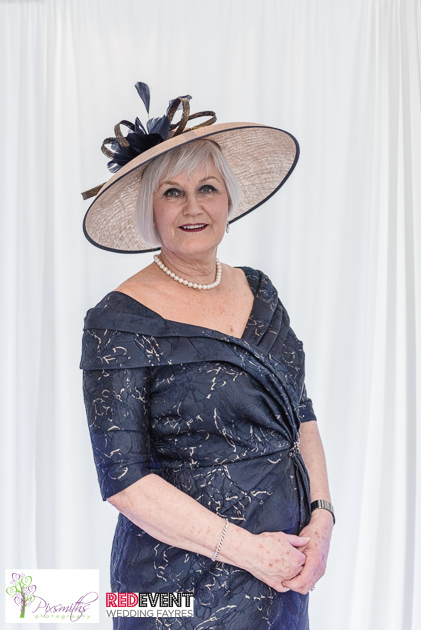 Cherish Brides have been dressmaking for 25 years; They love the industry and take great delight in looking after their customers. They offer a number of bespoke services, Bridal Gowns, Bridesmaid Dresses and Evening Dresses including making sure that all of the little things are taken care of for Brides such as the Tiara’s, Shoes and Veils. 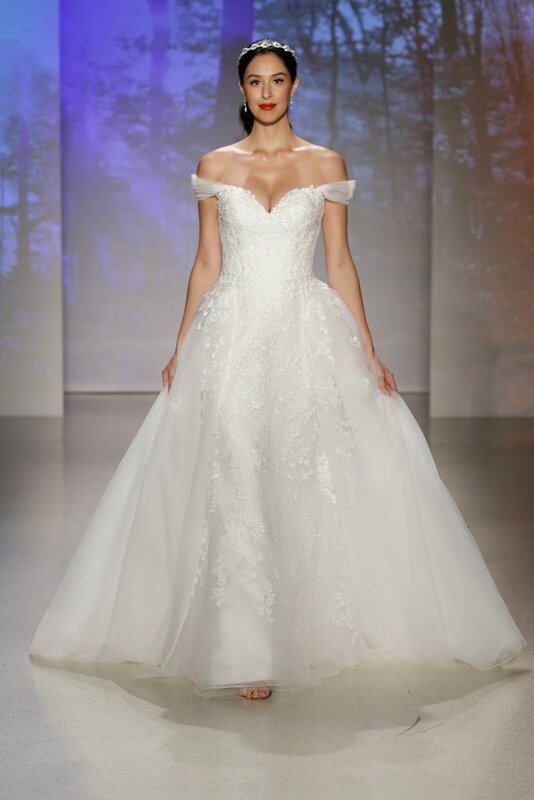 They work with 8 Bridal designers, Hollywood Dreams, Justin Alexander, Benjamin Roberts, Ronald Joyce, Nicola Anne, Mon Cherie and Amanda Wyatt, and Romantica. Looking for something more bespoke and unique? They also have their own Bridal Gown label called Michelle Rose, they are made buy Julie the own of Cherish Bride from scratch and are completely unique. 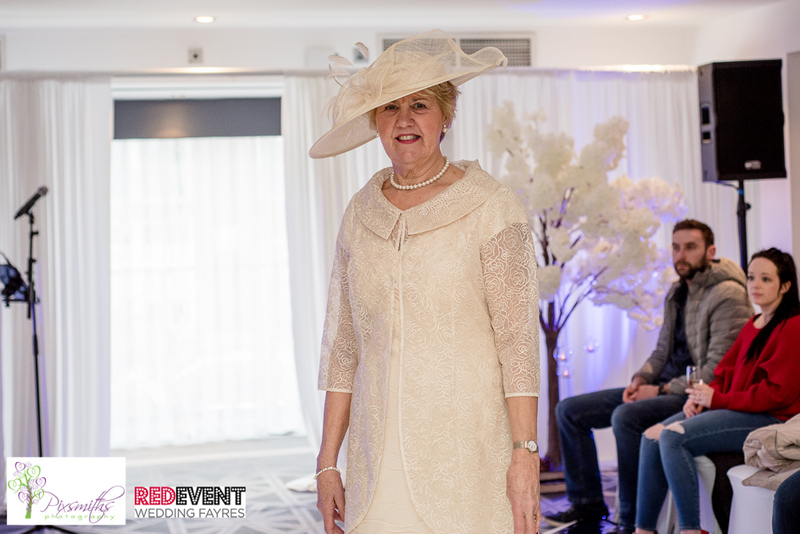 Visit the Badminton Suit on Sunday 18th March to see their stunning range of dresses and chat with their team to see what they can offer you and try on your dream wedding dress! 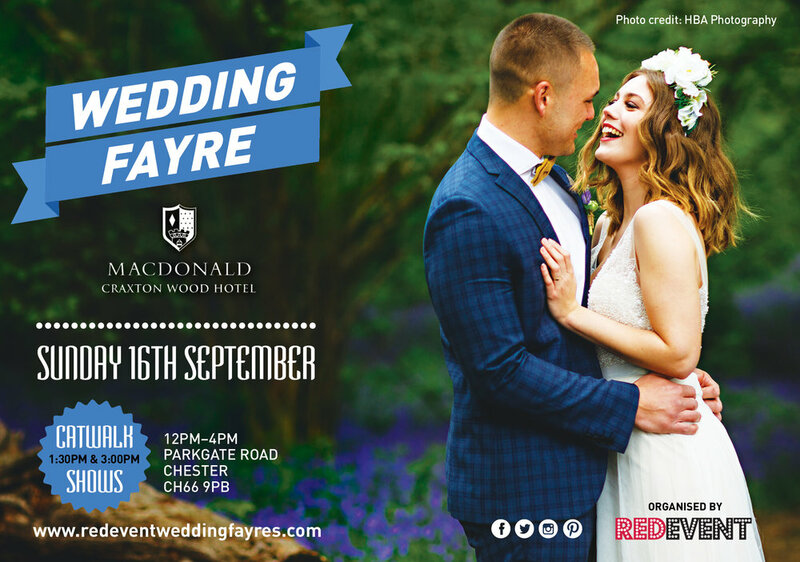 So whether you are looking for your Wedding Dress or for wedding ideas & inspiration then come along and soak up the atmosphere at The Brook Mollington Banastre Wedding Fayre, Chester on Sunday 18th March, 12 - 4pm.